Are the wrong events occurring in your life? Or, even worse – is nothing worthwhile happening at all? Too many of us lead unfulfilled lives and believe we are helpless to create a significant, proactive change. 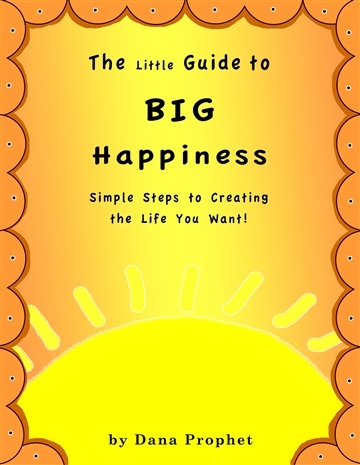 Creating the things you want in life is simple – let me show you how with The Little Guide to Big Happiness. This light-hearted and easy-to-follow guide identifies simple steps you can take to actualize the reality you want and deserve. With these steps - nobody has to be a victim of circumstance anymore! An American expat living in South Africa, Dana has a B.A. (Hons) in Psychology; is President Emeritus of the American Society of South Africa and has worked for world renowned speakers Tony Robbins and Dr John Demartini. She makes a mean chicken tortilla soup; is allergic to exercise and the outdoors yet managed to summit Mt Kilimanjaro and secretly dreams of becoming a rock star.